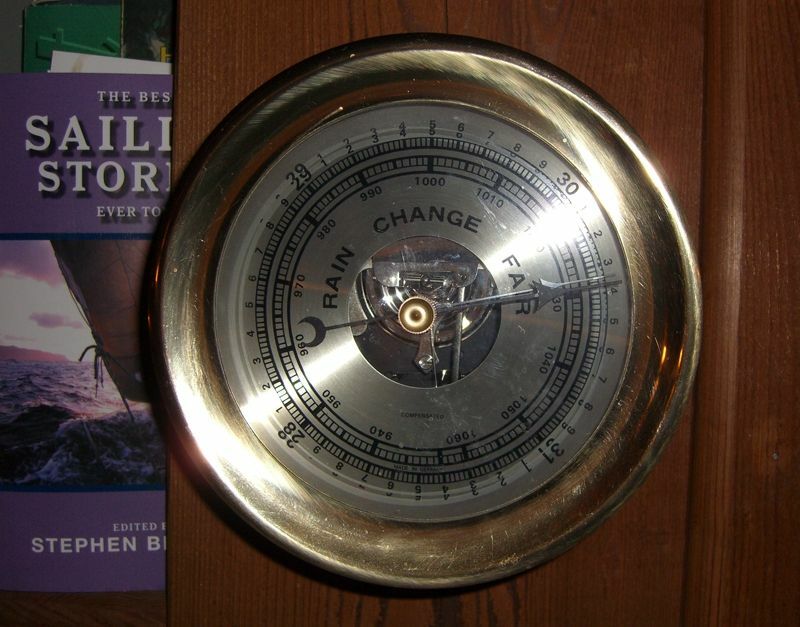 This nifty device fluctuates with atmosphere pressure and can sometimes help judge weather patters. A glass container filed with water or mercury and a small vacuum, which is connected to a similar glass spout, can be used to measure air pressure as the liquid ratio changes. This device is often applied to clocklike measuring hands for easy reading. Barometers date back to as early as the 1600s and come in a wide variety and rarities. They were often used on ships at sea.